Do you want to change your name or add a surname or middle name? In such a case, you have to send an application to the state government for publication of notice in sarkari raajpatr. Here are complete details and sample letter format for this purpose. You must be aware that you have to draft an affidavit duly attested from a notary for this purpose. Then you have to publish as advertisement about this in at least 2 newspapers, one of which must be English and another in local language of the state you are residing in. Keep the copies of published notice safely with you for future reference. Thereafter, you have to get your name published in official gazette which can be of state level or national level. Application form for this purpose is also provided here. 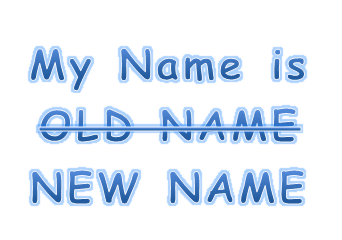 I want to change my name from OLD NAME to NEW NAME. I have made an affidavit in front of Notary Public, PLACE NAME on DATE. This is also published in NEWSPAPER NAMES. Now I am willing to publish notice in Extraordinary issue of STATE NAME Gazette. Hence I request you to issue necessary orders for this purpose in Extraordinary Gazette. I shall be highly obliged. I have attached all required documents for this purpose. Here is a list of required documents about which we have talked in our application form and which are required to be attached along with the application sent to Under Secretary to publish notice for change of name in Official Gazette.